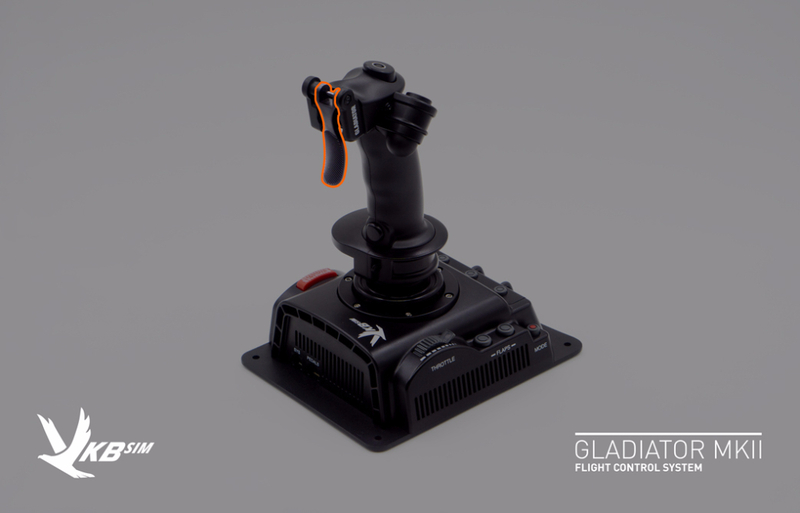 VKB-Sim and VKB-Sim North America are proud to announce the second iteration of the Gladiator and Gladiator Pro series of flight control sticks – the Mk.II. Based on feedback from simulation pilots, significant changes in the trigger and centering designs of the Gladiator Mk.II have been made. 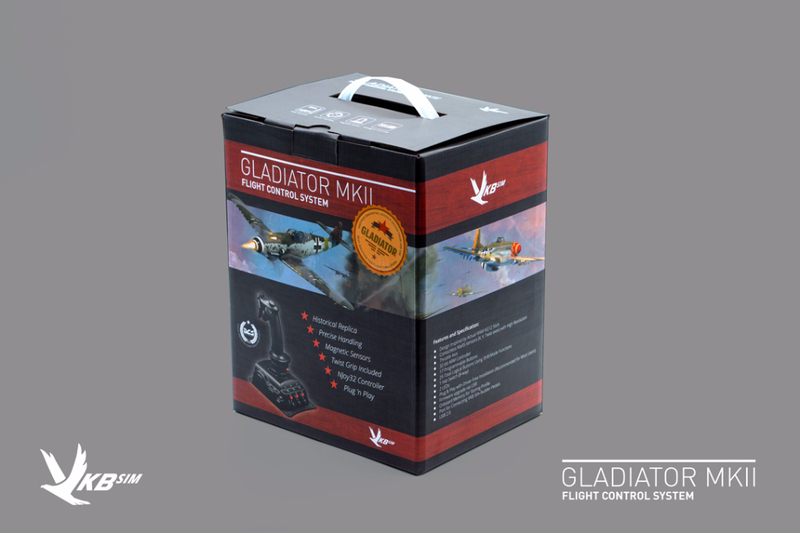 Since the Gladiator’s grip is a replica of the KG12 flight-control grip found in various WWII-era aircraft, the grip’s design has not changed; however VKB-Sim engineers improved the durability of the Mk.II’s trigger. It is now made from Polycarbonate (PC), which is more flexible and less brittle than that of the previous Gladiator generation. In the heat of the battle, it flexes, rather than breaks! 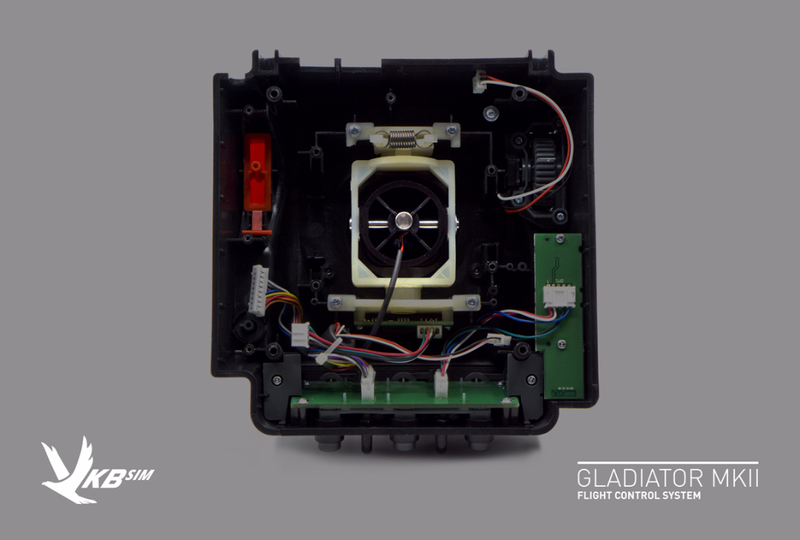 In addition to the trigger, the Gladiator Mk.II’s centering mechanism was redesigned as well. The molding technology of plastic generally does not lend itself to high levels of accuracy; however, a small high-precision metal axle was added to the centering mechanism of the Mk.II, which acts on the pitch axis for less slack and more accuracy around the center of the stick. This should alleviate issues of a lax center encountered in the previous version of the Gladiator. 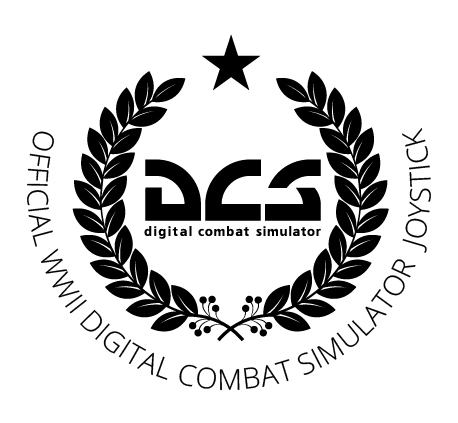 We are pleased to announce that an agreement between Eagle Dynamics (makers of DCS World), and VKB-Sim has been made for the Gladiator Mk.II to become the official flight controller for “DCS: WWII”. This agreement includes the integration of VKB-Sim profile management into select DCS modules. 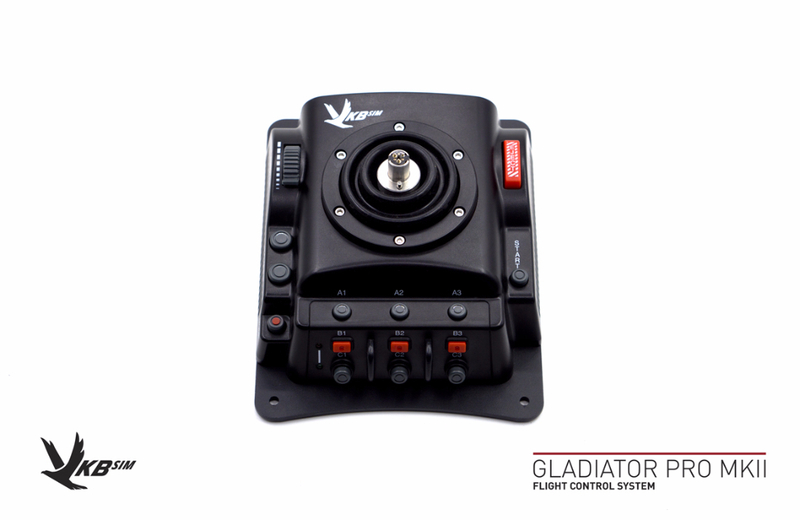 The Gladiator Pro was also improved, and comes with the same grip release and 3-pin connector as the new VKB-Sim Gunfighter series. All future VKB-Sim grips will be designed to fit both the first-gen Gladiator Pro and the new Mk.II alike! 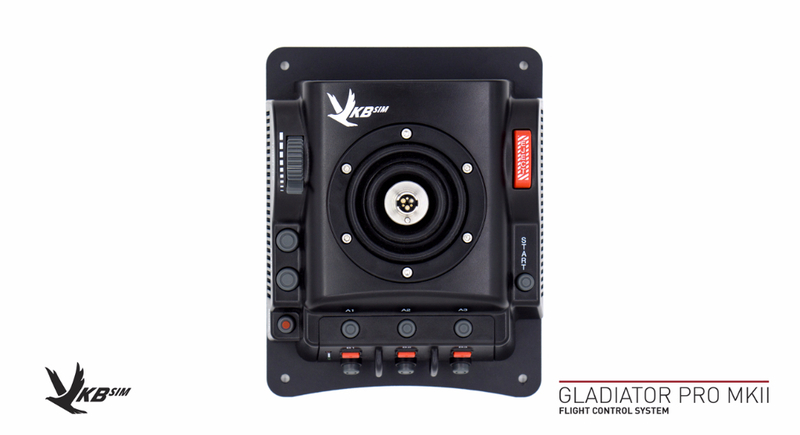 Ordering for both the Mk.II Gladiator and Gladiator Pro starts now! - For North America, please visit http://www.VKBcontrollers.com to place your order. - For the EU, please visit https://flightsimcontrols.com to place your order. NOTE: Shipping will commence after the Chinese New Year (CNY) in the first half of February 2017. Do you guys have an approximate time frame as to when the Gladiator (non-Pro) MkII will be available on Amazon US? Not sure that VKB HQ wants to deal with Amazon at this time. The previous North American rep did that on his own, which I believe wasn't sanctioned by VKB (correct me if I am wrong). VKB has their own webshops for the EU and NA, however. If I was in your shoes I would advise VKB against not sanctioning selling VKB products on Amazon as that is how I came to know VKB products when browsing through their selection of joysticks and also if you have a read of the reviews on the Amazon they are mostly extremely positive on the quality/use of the VKB Gladiator etc. Incidentally, do you have a PDF with a detailed dimensions of the VKB Gladiator/Pro MKII just like you have for some of your other products? Actually, right now VKB HQ is drop shipping directly from China to the customer's residence. elmar01 wrote: Incidentally, do you have a PDF with a detailed dimensions of the VKB Gladiator/Pro MKII just like you have for some of your other products? I asked VKB HQ to provide some drawings on those dimensions. I should have them soon, and will link them to the webshop. PS: Thanks for your order. Oh fantastic, thanks very much for that! No problem thought I would get my order in early, very desperate to replace my shoddy broken saitek joystick with something of a bit higher quality. 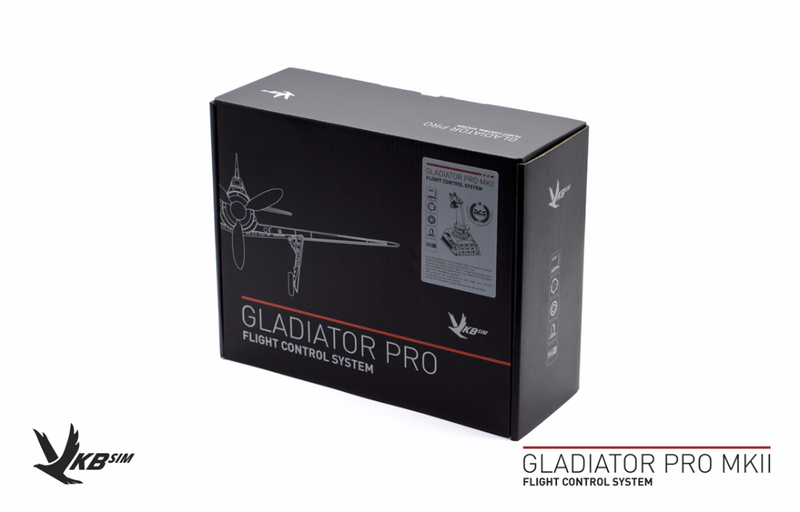 btw, I would have had no hesitation to order the Gladiator Pro MKII but I really need the twist functionality as pedals are impractical for me, hopefully you guys can work out how to bring twist to the Gladiator Pro for a MKIII model. There might be some new grip coming out later that will introduce twist action be the means of an adapter, rather than builtin to the grip itself. That might be exactly what your're looking for. No ETA at this time, though. which should allow you to order it direct from China, saving shipping, but damned if I can read anything to know what I'm clicking on! ...which is a little more heartening, but still not quite the easy, trustworthy looking PayPal transaction I'm hoping to find! 599 Yuan shakes out to around $114 AU - not sure if that includes shipping. If any Aussies order from this (or a better site) and get cheap shipping, please reply here! It's important to note that the Chinese version is different from the US sold ones, I believe it has more limited program-ability with the buttons? Buyers should be aware of this before they buy. I emailed VKB NA and got this for a reply..
nope, those are all the same products, distributed by VKB HQ (in Shenzhen/China) around the world. We're at VKB North America are just another satellite office, working with the exact same products. 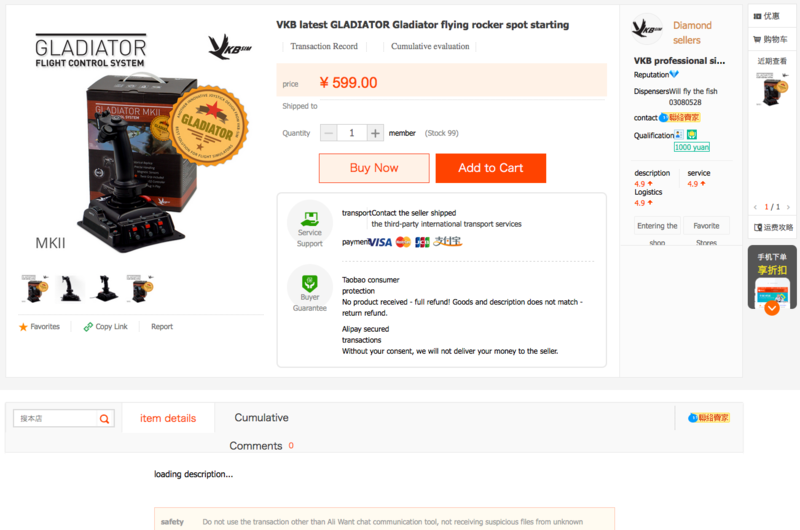 I'm from Australia, and am in the early stages of shopping for VKB Gladiator or Gladiator II products. I've noticed VKB has the portal for North America, but also shops on Aliexpress and Taobao. Are the products sold on these Chinese marketplaces different from the ones in North America? If I buy a Gladiator Pro or Mk. II from Aliexpress or Taobao, will there be less functionality than one bought from the NA store? No idea who and on what purpose started popping up this topic; the answer of course is NO. In a word, this whole "Chinese version" thing is pure organic bull waste. Good as fertilizer but of no value on the forum. There is NO special version for any certain market. And there is no plan to start producing market-dependent versions. Same goes for all VKB products. (in the past some models were not allowed to certain markets due to market wars; it is all history now).